“It was a strange symbiosis, but perhaps the sum of many things – the weather, the mountains, the people,” he trails off. Blanco has won the race more than anybody else since it was first run in 1927. In a twelve-year career, he missed just one edition. And yet the Volta is barely heard of outside of Portugal. Ask your average cycling fan for a podium prediction and it’s likely that you’ll be met with a blank stare. The level at which Portuguese cycling is run is the primary reason. There are six teams in the country, all of which race at Continental level, the third tier of cycling, and rarely venture outside of Iberia to compete. There are financial reasons for that, but this insularity is the main cause of Portuguese cycling’s solitary confinement. Names like Rui Costa, Tiago Machado and Sergio Paulinho are familiar to our ears, but what exactly is Paredes Rota dos Movéis? Blanco was twenty-five when he turned professional, late thanks to his time at university, studying business in Santiago de Compostela. Born in Berne, Switzerland to Spanish parents, Blanco’s family relocated there when he was five years old. Soon after his love affair with the bike began, inspired by 1988 Tour de France winner Pedro Delgado. The Galician city, which Blanco still calls home today, is the end point for one of the largest religious pilgrimages in the world, The Way of St. James. Hundreds of thousands of people set out on foot, by bicycle or on horseback, in a nod to their medieval counterparts, to visit the shrine of the apostle. That the race is held in August, a time when much of the public are on holiday from work, is both a help and a hindrance. It’s something of a conundrum then. Whereas once upon a time the race could boast startlists featuring Lampre, Festina, QuickStep and more, Spanish ProContinental squad Caja Rural are the cream of the crop in 2015, while a smattering of foreign Continental-level teams will also take part. In the mid-2000s the race enjoyed 2.HC status (it’s now 2.1), and there was a push towards the ProTour, but such a move would have been at the detriment of the local teams. WorldTour teams do visit the country, but only for February’s Volta ao Algarve, a training race, closer to their home bases in northern and central Europe than the likes of Oman and Qatar. The race is a rare success story for Portuguese cycling in the wake of the global financial crisis, which hit both Iberian countries hard. From a combined twenty-three teams (nine Portuguese) in 2006, the countries now share just ten, while numerous races have also disappeared from the calendar. “Of course there’s less money in Portugal. Since the ProTour was introduced, it has been good for the elite teams but misery for the rest,” Blanco says. Disdain for the elite of cycling is a recurring theme in our conversation, with Blanco referring to the UCI’s top tier pejoratively several times. Just as in wider society, a growing economic disparity is a problem in cycling, with the idea of a budget cap being mooted by figures such as Oleg Tinkov in recent times. One would assume though, that Tinkov had his own roubles in mind, rather than the financial security of riders. Financial security was at the forefront of Blanco’s mind when he chose to join Spanish team Geox-TMC in 2011, his penultimate year as a professional. Yet despite the team winning an exciting edition of the Vuelta a España with Juan José Cobo, Blanco had bitter memories of the season, calling it nothing short of a disaster. “It was nice to win the Vuelta, even though in the end it helped nothing. To this day I still don’t understand why Geox left – perhaps Formula One is more chic than cycling.” Geox now sponsors the sports Red Bull team. While undoubtedly a miserable time for Blanco, his experience with Geox was hardly the only dark point of his career. May 2006 saw the eruption of Operation Puerto, the biggest doping scandal to hit the sport since the Festina affair of 1998. At the time, Blanco was riding for one of Spain’s premier squads and the team at the centre of the investigation, Kelme. The rest was, as they say, history, with Blanco winning two stages on the way to opening his Volta account. Portuguese teams chased his signature, but Blanco instead chose to join a newly-founded team, run jointly by Russian footballer Valery Karpin and the local government. As it happened, he never turned a pedal in anger for Karpin-Galicia. A meeting with Duja-Tavira, the Algarve-based team which has existed in some form since 1976, saw him rescind his contract and return to Portugal. The late Xavi Tondo won that year’s Volta, with Blanco finishing fifth. He only had to wait a year to take victory number two though, beating future teammate Cobo, as well as a young Dan Martin. Blanco’s third victory came in 2009, although he was second originally. Nuno Ribeiro of Liberty Seguros had won the race, but it was later announced that he had tested positive for CERA just before the start, along with teammates Isidro Nozal and Hector Guerra. The scandal saw the Spanish bank leave the sport for a second time in three years. If there is a stigma surrounding the sport, it’s an unfair one. The Portuguese Anti-Doping Federation (ADOP) runs its own version of both the Biological Passport and the ADAMS Whereabouts system, the only country in Europe with such a program in place for Continental-level teams. With Ribeiro’s disqualification, Blanco not only won his third Volta, but he was also elevated to first place on stage ten, which finished atop the famous climb of the Alto da Torre. Far from a single-lane goat path climb you might see in the Vuelta, the road to the top of the second-highest peak in the country is smooth and wide. The gradient constantly changes though, and at 27km long, it takes well over an hour to race up from the town of Seia. “I never understood why riders waited for those to attack, rather than the sections where I would suffer more. The only time they did that was when Tondo won in 2008,” Blanco says, smiling. 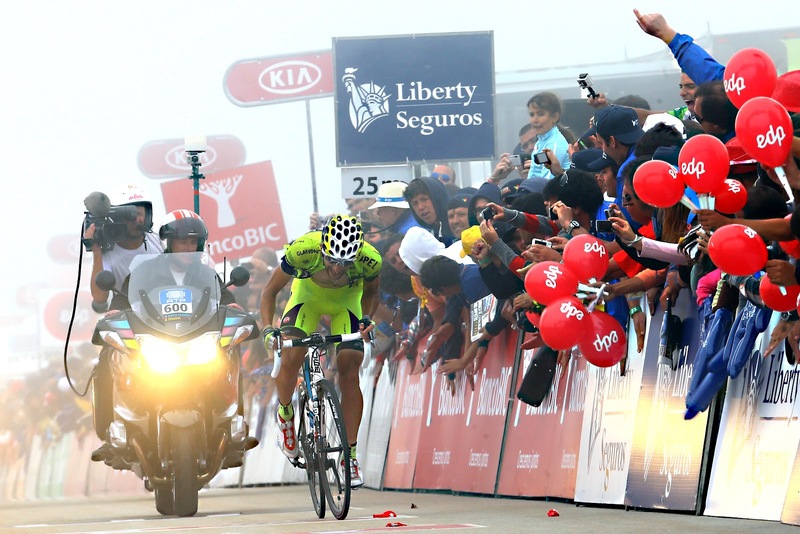 After 2009’s retroactive victory, he was first to the top again the following year, also taking the win at the other summit finish of the race at Senhora da Graca. Fellow countrymen David Bernabéu and Sergio Pardilla would join him on the final podium. 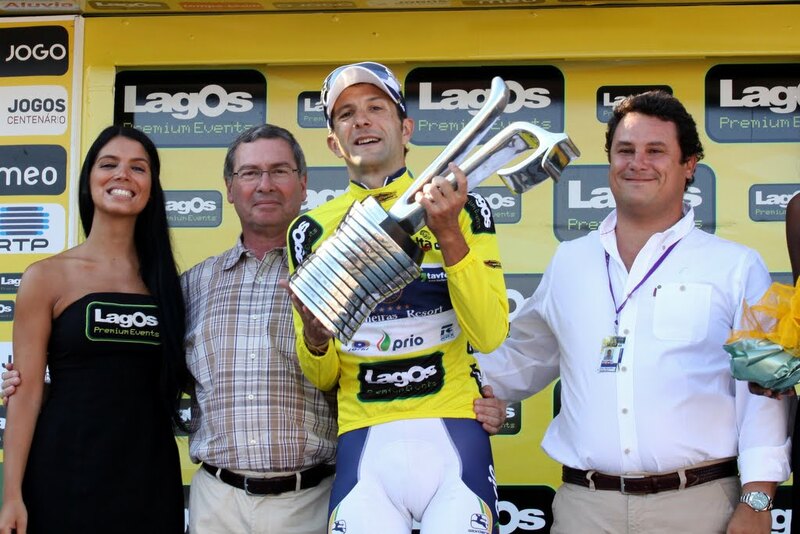 It was win number four, taking him ahead of Portuguese cycling legend Joaquim Agostinho, and level with Marco Chagas, who now commentates on the race for Portuguese television. His fifth would have to wait though, with the move to Geox meaning that Blanco would miss the race for the first time. Efapel-Glassdrive was the destination for his final season as a professional. Once again, he was victorious on the Alto da Torre, climbing into the lead on his favourite mountain. Riding into Lisbon in the yellow jersey was his last act as a professional cyclist, and then Blanco was off. To Africa, specifically. He moved with his wife to Equatorial Guinea, where she worked. Blanco admits to “doing almost nothing” during those three years – a well-earned rest. Now back in Santiago de Compostela, Blanco has grand plans in an altogether different sport, moving from one type of climbing to another. Blanco will take some time out from working on his new project to visit the Volta once again this week. It will be a while before he sees anyone come close to his record-breaking five victories, but perhaps he’ll witness the beginning of a challenge. The 77th Volta a Portugal runs from July 29 – August 9. Indoorwall in Santiago de Compostela opens September 4.